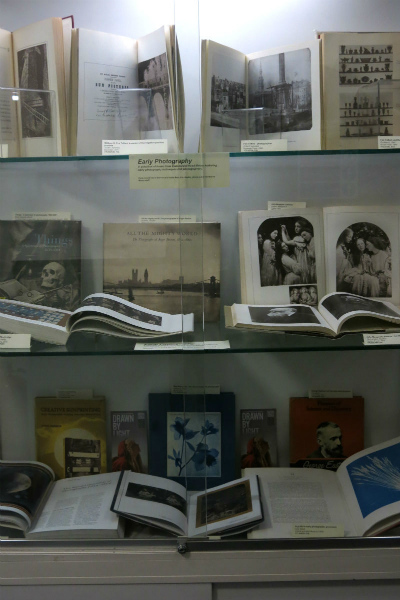 A selection of books from Commercial Road library exploring early photography techniques and photographers is currently on display in the cabinets outside Commercial Road Library. The display includes books on Julia Margaret Cameron, Fox Talbot and Roger Fenton, as well as books looking at early photography techniques such as cyanotypes and salt prints. This entry was posted in event, Exhibitions, Library books, Uncategorized, Using Images and tagged "art history", "Art Library", art, Barbican Art Gallery, books, CASS, Commercial Road Library, early photography, exhibitions, gallaries, gallery, history, Library books, London galleries, photography, Royal Photographic Society, Science Museum, Tate Britain. Bookmark the permalink.